We scrap because it’s fun and it’s great for the environment and economy, sure, but we also scrap because it makes us money. However, transportation costs can really eat into a scrapper’s income. While it’s impossible to mitigate scrapping transportation costs entirely, there are plenty of ways to reduce these costs. Reducing cost can be divided neatly into two key areas. Learning and thinking critically a bit about each area can save you a ton of money—meaning that you keep more of what you earn right in your pocket. These two areas are saving money while picking up scrap and saving money while selling scrap. Each is important, and each can be approached in its own way. The weather is starting to get a little cooler as summer winds down—and that can mean big opportunities for your scrapping operation! Here in Dallas, the cooler weather means the idea of spending some more time outdoors and hunting for scrap might look a little more enjoyable than it did in the summer. On top of that, there are a lot of unique fall scrapping opportunities! Many homeowners see autumn as a time to replace old lawncare equipment and outdoor furniture. 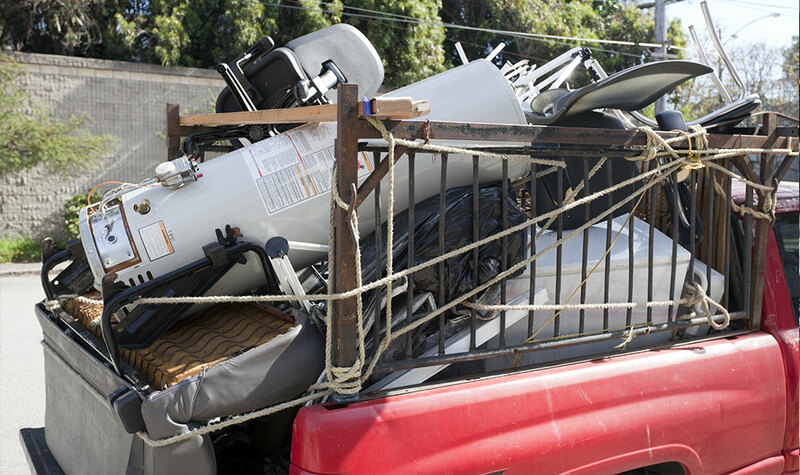 Some of these homeowners may not want to haul these heavy items themselves—meaning you can be sure to get great scrap by offering a free or cheap haul-away service in your area. Lawncare equipment such as mowers can be very lucrative, especially if you take the time to dismantle and clean them, separating the different metals out from one another. In addition to being more common during the fall, they’re a lot more fun to take apart once the temperature outside drops a few degrees! Even outdoor furniture can be worth your while. It’s frequently very easy to disassemble, and generally has a good amount of metal weight for durability. Most scrappers start out by getting rid of some of their own personal scrap or scrap materials from their own business or job site—but when you get bitten by the scrapping bug, you might want to bring in scrap more often. Eventually, you may come to a point where you want or need to ask for scrap from other people or even businesses. This can be an awkward interaction for many scrappers, especially at first, but it can turn a small hobby into something truly lucrative. Here are a few tips for success. Presenting yourself as a professional is often tantamount to success when you’re asking for scrap. Wear business casual clothes like a polo and khakis, and consider having some flyers or business cards printed. These will both make you look more professional and help people remember you. Part of a good presentation isn’t just looking good, though. You also need to do a little research and have some facts and figures to back up any claims you make. For example, if you’re approaching a small plumbing business for its scrap, consider talking about the money the company can save not doing their own recycling, and the positive environmental impacts of recycling.